Christiane joined us recently. She also comes from a family of Barbers. Her mother owned a salon in the greater atlanta area and she worked with her many years. Her brother Aaron also cuts hair and worked with us here until recently. Christiane has a wonderful personality and is very easy to get along with plus she gives a great haircut as a bonus. Scot started his career with us as an apprentice. After extensive training and work Scot has become a top rate barber and has started to build a great customer base. Scot has a great personality and listens to his customers. Alicia joined us in the fall of 2014. She grew up in Dallas, GA, and attended Vogue Beauty School. She’s been a barber for more than 20 years and is very experienced. She is one of the few female barbers I’ve meet that can cut a perfect flat top. She also excels military high and tights and skin fades. Plus she can shave your face and make you look like a new man. She joined us from the Main Street Barber Shop in Woodstock. 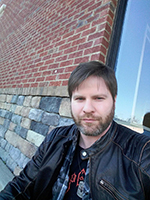 Jason went to Roffler barber school down in Marietta and has been with us for many years. He is up on all the current cuts and video games. “Fran” joined us over four years ago and has been a great addition to our team. 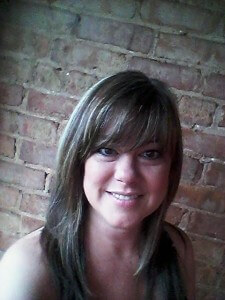 She has experience with all types of cuts from flattops to fades. Fran worked for many years with Alicia down at the Kennesaw barber shop. She joined us and hasn’t looked back. She is especially good with kids of all ages. 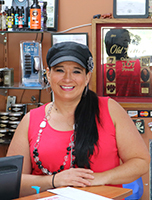 Donna is one of the newest additions to our group, She has been cutting hair for over 20 years. She excellent at flattops and loves cutting them for customers. Donna, her husband, and even her daughter are practicing barbers. It’s in her blood. Dave was born in Dallas, Texas. He spent 3 years growing up in the Marshall Islands of the South Pacific and ended up graduating from Trinity Prep in Winter Park, FL. David studied fine art and ceramics at Florida State University. Then he and his mother created a line of ceramic dinnerware as Clay and Color Studio. They spent 10 years successfully selling their ceramics all over the country. David then went to Roffler and graduated with a Master Barber License in 2002 and opened his own shop, Dave’s Barber in July of 2006. You can see all of Dave’s hobbies displayed throughout his barber shop such as the remote control planes he builds and flies, pieces of his fused glass, and other models he has built. David is also a proud father to his daughter, Jasmine and his son, Isaac.